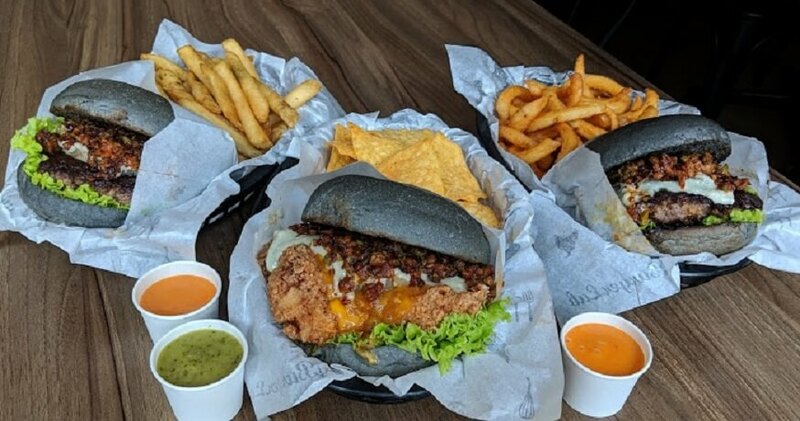 Well there's a reason why MyBurgerLab is Malaysia's #1 gourmet burger spot cause not only do they serve some of the yummiest burgers around town, but apparently they've found the secret to keeping Singapore from taking claims to another one of our finer foods. 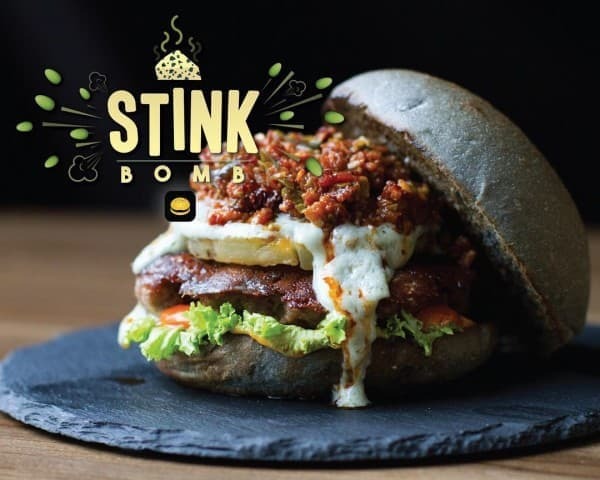 Feast your eyes (...& not your nose...) on MyBurgerLab's latest creation -- the Stinkbomb, which definitely is the right name for it considering that it has sambal petai & blue cheese in it! True, it does look gorgeous -- but have you ever tried Blue Cheese dressing?? 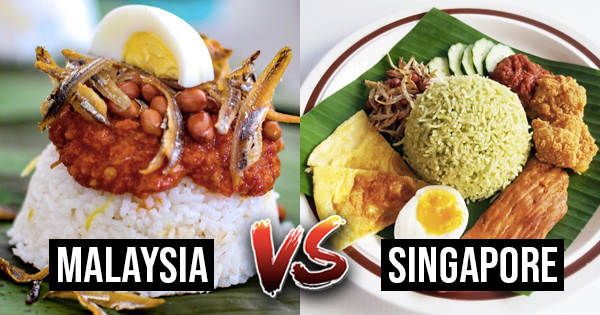 Well if some of you guys wanna 'TRY' just a smidge of what the combo of petai + blue cheese taste like, but not as pungent and "killer" as the Stinkbomb, then go order the 'Hook, Line, & Stinker'. Your date....and your taste buds will be ever grateful for your consideration -- and you MIGHT still get a kiss by the end of the night. Your curiousity will be fulfilled from 5 Mar 2019 - 17 Mar 2019, so circle those dates on your calendar and put a "stink emoji" on it! 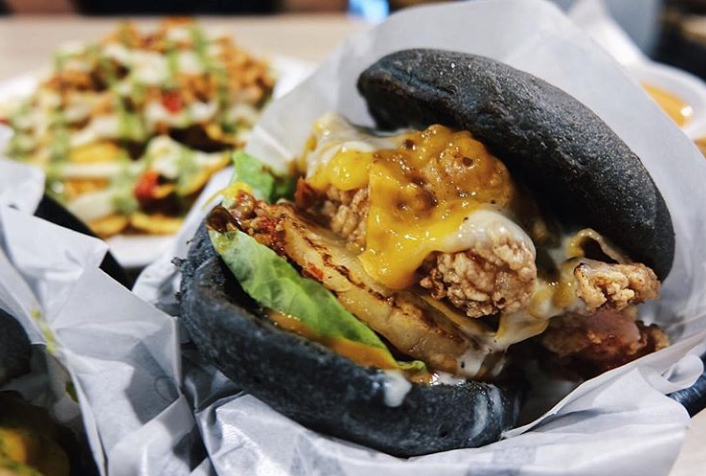 We've not heard from Singapore yet and neither have we seen anything come out from Singaporean kitchens that resemble anything like this so I think it is safe to say that MyBurgerLab may have found an effective solution -- well for now la, unless Singapore wants a new slogan: "Making Singapore Smelly Again."